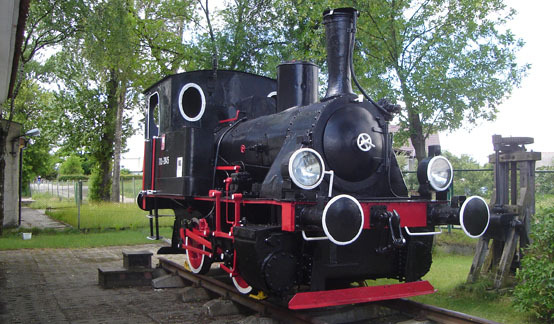 "Steam Railway Kościerzyna" is a museum conducted by the Department of Tabor in Gdynia. Here time stopped for the best traditions of Polish railways. In this historic place, memories of the remarkable and rich history of railways in Poland return and show itself to the visitors. The exposure allows direct meeting with the fascinating technique of the past years. Visitors to the roundhouse will see: rectangular, cruising four locomotives hall, exhibition halls and exhibitions of old locomotives, cars, appliances, outdoor track. The premises of the museum can be found already unique tools, machines, parts of old mechanisms, supplemented by collections of documents, memorabilia and models. Do not miss Kościerzyna in your wandering around the world, find the open-air museum associated with the legend. Because nowhere could be better to fix the matter, memorable thirties of this century. In the years between wars the Polish School of Design locomotives won awards at international exhibitions, Polish engineers pursued a major technical projects. The biggest investment of the time was the bus Silesia coal - Ports outlined only possible by the shortest route to Gdynia through Koscierzyna. Embodiment of a legend in the collections of the museum is a locomotive Pu29-03, last of the year 1931. 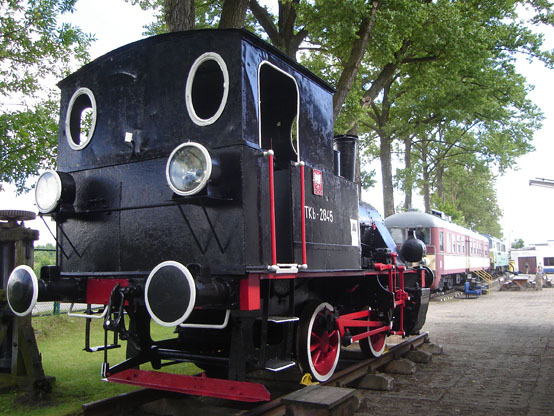 From 1919, comes as the only surviving Tw1-90, locomotive remembering the days when Koscierzyna didn't have railway. Local lines then tied it with Skarszewy, Bytow and Kartuzy. The Museum's collections were motor coaches. One of them bearing the designation of SN52-38 was built in Hungary in 1954. After more than thirty years of service he has completed work in Laskowice Pomorskie. Each of the exhibits “Steam Railway Museum” has its own unique history. Trains retro-active complex of locomotives and wagons of the past, have moved on to the Heritage Parks in Braniewo, Hel, and the festival in Mragowo. Better yet, they are associated with the native land of Kashubia, acting in major tourist attraction in the region. The most exotic exhibits are the museum locomotive TE 7175, which came to us from the eastern neighbor, and the electric traction unit EW90-12, who worked in Berlin's suburban rail, and Tri-SKM. Heritage Park "Steam Railway Kościerzyna"
83-400 Kościerzyna, 7 Targowa St.